Part of the Hundred Years' War, The Battle of Agincourt took place in 1415 and saw a numerically inferior English army under King Henry Vth defeat the French under the command of Charles D'Albret. The battle is best known for the role played by the English Long Bow with which the vast majority of the English were armed. As such, though we're launching the range with various personalities, knights, and men-at-arms, expect lots and lots of English archers to come. 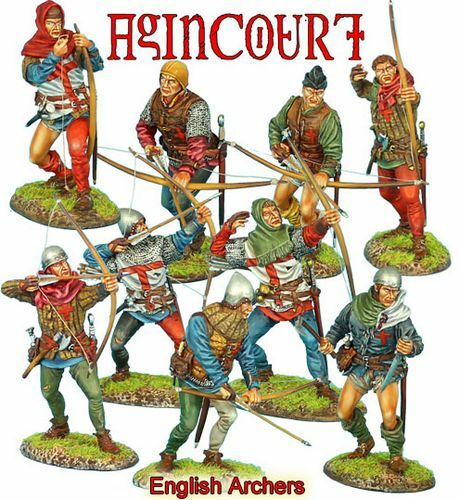 Agincourt will be covered in extreme depth with 40 figures ready to be produced. Superlative sculpting and painting.